Hi folks! I'm starting a new, quickish piece. I start with a couple constraints. 1- it has to include squares and circles. 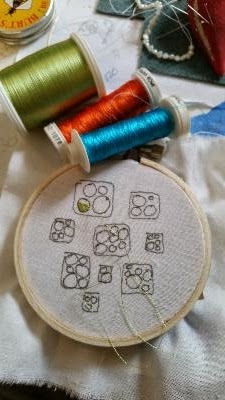 And, 2- I want to use green, orange and turquoise. There's a default constraint, that this will be a brooch. There should be more posts during the day.